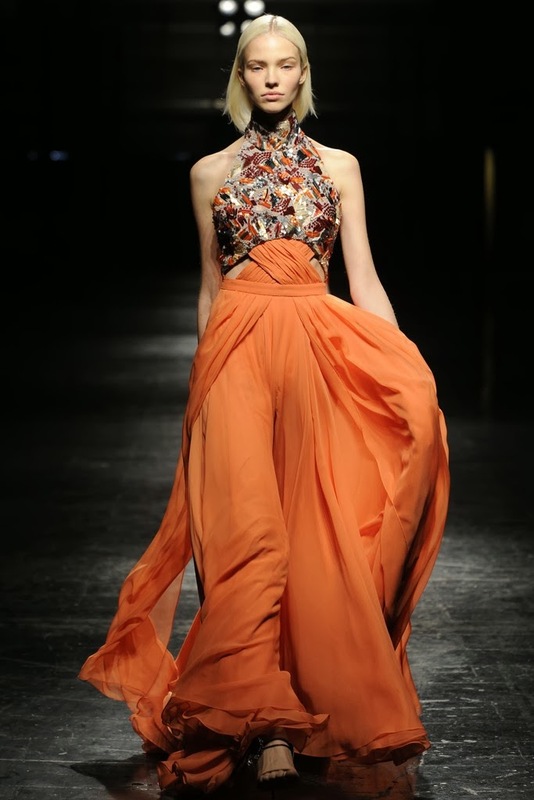 Prabal Gurung's fall collection draws it's inspiration from Nepal's traditional serenity and culture. Expect a deeper level of comfort and confidence in the designer's latest venture as he has often shown in the past. I love the variety of colors and prints mixed together. A sense of balance is formed between the softness of the cocktail dresses and the fluidity of the tailored jackets paired with beautiful satin panels. Cut outs on Gurung's dresses revealed the perfect of amount skin without giving too much away. This is the collection everyone will be talking and want to wear. PG has done it again. I'm drooling over these pics. So beautiful and stunning. Thanks for sharing! Thank you. I know these pictures are stunning and by far my favorite fashion show this season.